Cuore, Italian for ‘heart’, is the new cafe at the centre of the University’s Green Heart. It opened its doors on Monday 8th April and therefore be open for the Summer term. 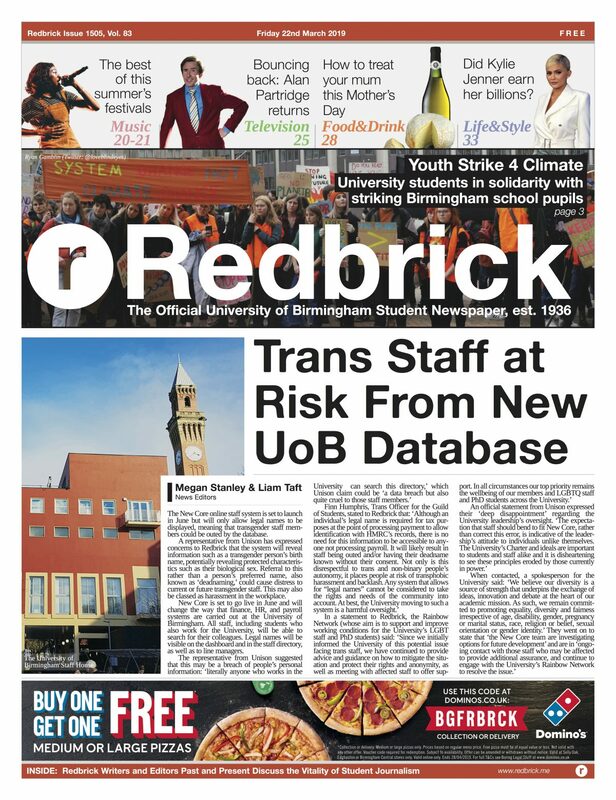 This cafe will be an exciting addition to the existing university food outlets, as it serves Mediterranean cuisine, something not already on UoB’s catering menu. This restaurant will also be on the meal plan scheme, providing a much-needed healthier option for first years to enjoy. The menu features many small plates of tapas dishes including vegan, veggie, meat and fish dishes to suit everyone. I was lucky enough to sample some of these dishes at the launch. The ‘Warm Stuffed Pitta’ is filling and tasty- it is stuffed with feta, roasted peppers and spinach, and the ‘Vegan Potatas Bravas’ is traditional and comes with a hearty helping of sauce. A portion of ‘King Prawns with Lemon’ was substantial and satisfying in terms of quantity, for what you’re paying. 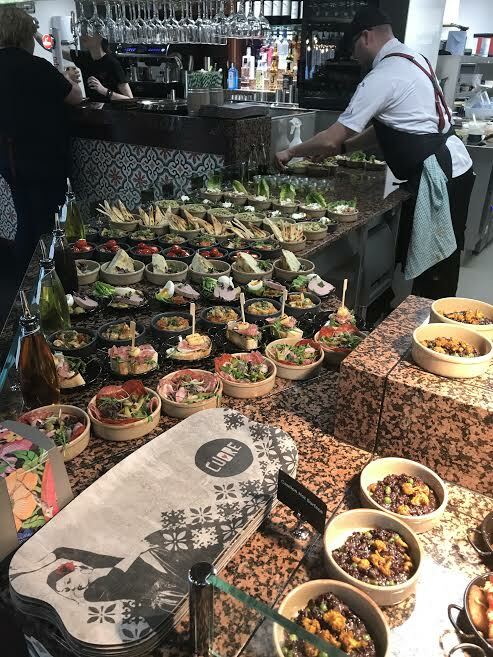 Cuore’s menu also features Falafel, Salads and Charcuterie as well as a range of desserts including ‘Chocolate and Orange Mousse’ and Baklava. Each dish costs £2.95 for one or £6.75 for three dishes which is an extremely reasonable price for the quality and quantity served at Cuore. Having sampled the food I would say that three dishes is just fine for a regular appetite or one dish could suffice as a good snack. Cuore also offer a fantastic deal of ‘eat as much as you want’ for £10 between 6pm-8pm, which sounds like a good challenge for any frugal student on a budget, who wants to indulge in some slightly more sophisticated dinner-time antics, than just beans on toast! Cuore will be serving drinks too and so as summer term approaches, you can share a sangria on the Green Heart or on the nice outside seating area which, on a sunny day, can really get you craving the end of exams! 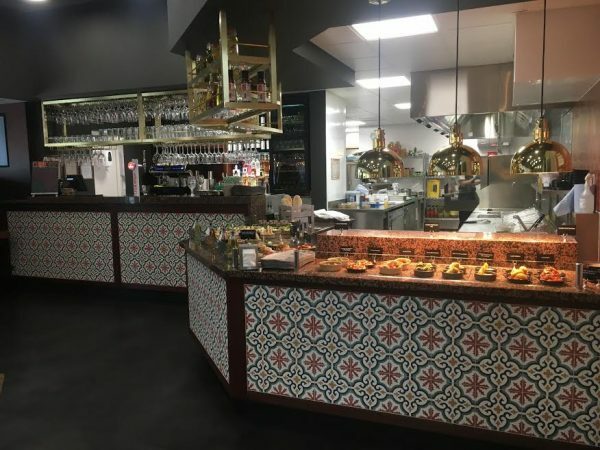 The ambience is as delicious as the tapas, as the Gypsy Kings play in the background while you select your dishes from the decadent array at the self-service counter, although waiters and waitresses will be there to take drink orders and take payment. Cuore is definitely something to be excited for as the new term begins! Sangria, budget tapas that is not so budget on the taste-buds, good vibes and sunshine- what more could a stressed student want! Definitely watch this space.